It's another Monday, so let's cheer ourselves up in Europe with news of what downloads are coming this week. This week almost every platform is catered for, so let's get to it. Planet Crashers (Ignition, £9/€10) — Planet Crashers is the latest title developed by Renegade Kid, of Mutant Mudds fame, and is an adventure RPG where you must defeat an evil trying to snuff out the sun: no pressure then. With dungeons, multiple planets, levelling up and the ability to customise your character, we'll bring you our review later this week to see whether it lives up to its potential. 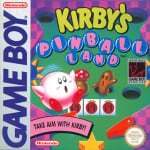 Kirby's Pinball Land (Game Boy, Nintendo, £2.70/€3) — Considering Kirby's natural body shape, it's hardly surprising that it was decided he'd make a decent pinball back in the Game Boy days. While it may sound like a dream combination, it arguably doesn't achieve its potential, as our Kirby's Pinball Land review explains. Candle Route (Teyon, 200 pts) — There have been some budget DSiWare titles that are superior to many pricier downloads, and this certainly qualifies as a good example. A puzzle game with two distinctive modes, 160 stages, clever puzzles and utterly charming art design, check out our Candle Route review for full details of our recommendation. Decathlon 2012 (Cinemax, 500 pts) — With the Olympic Games imminent, it seems only appropriate that an athletics title arrives, in this case one covering the most challenging of events. Covering the ten disciplines of the decathlon, this title promises intuitive stylus controls and multiplayer options, but we'll see whether it's worthy of the podium in our review later this week. Horizon Riders (Sabarasa, 800 pts) — This on-rails action shooter arrived in North America last October, so it's been a bit of a wait for European gamers. It may be worth a try, assuming you have a Balance Board to dust off, as the alternative control scheme can be awkward. It's a fun, well-produced title despite that, and you can check out our Horizon Riders review to learn more. The Incredible Barbazan: The Human Cannonball 2 (£1.40/€1.50) — See the world’s worst magician performing tricks and stunts that always fail! Created using innovative stop motion animation these hilarious shorts featuring everyone’s favourite magician are available exclusively in 3D. Kingdom of Plants 3D (Free) — The exclusive clip offers an astonishing look at the secret lives of plants filmed at The Royal Botanic Gardens, Kew in London, revealing a dramatic world otherwise invisible to the human eye. Filmed over the course of a year, the clip is a revealing and fascinating new look at plant life through the use of stunning 3D time-lapse filming techniques. So, will you be downloading anything this week? Let us know on our Facebook poll. Damn you guys got Pinball fast and we don't even have Kirby's Dreamland 2. I might pick up planet crashes if the reviews are good. I'll definitely pick up Kingdom of Plants 3D though. Planet Crashers and Wario Land II is on the menu this week, then. Although I must say the former game does look a teeny weeny bitsy too cute for my taste. Getting Kirby's Pinball Land. Glad its £2.70 although I'd have paid £3.60 if it were that. Still not sure about Planet Crashers. The concept sounds good but the game doesn't look very appealing visually. I'll have to wait for the review, especially for that price! Screenshots of Planet Crashers aren't very encouraging at all, I'm not a big fan of the whole perspective it gives. I may have to see if the eShop video is persuasive at all. If I am going to download anything this week it will probably just be the free Botanical video. Also I must state against that I discourage downloading The Incredible Barbazan, I downloaded the first episode and it was archaic, dull and predictable in too many ways, with poor animation to top it off. Wait, what? I've had Kirby Pinball on my 3DS for a while now... didn't it come out ages ago? @stipey Maybe you have it confused with Kirby's Block Ball? Oh! They're different? I honestly couldn't tell from looking at the screen shots! OH MAN I AM AN IDIOT. PINBALL IS NOT THE SAME AS BREAKOUT. DISREGARD EVERYTHING I EVER SAY. Interesting week. I'll be delving right into Candle Route, the price is too good to refuse. I'll have a dabble into the Kingdom of Plants 3d video and ponder over Planet Crashers once I've seen the trailer and read the review. The £9 asking price is a real moot point, but if the game is an extensive RPG experience then it's hardly anything to quarrel about. I take all that is free. Darkness of Eternity is a good song. Kingdom of Plants 3D is released on the 3DS XL Saturday, right? PINBALL IS NOT THE SAME AS BREAKOUT. Its not really a traditional Pinball game either. It strips the Pinball aspect away just enough to make it work for the old blurry Game Boy then rebuilds what it took away with typical Nintendo fun. Sure it fails against real Pinball games but then it was never supposed to compete with them and should not be judged against real Pinball games. Its like rating Tetris Attack low because it doesn't play like traditional Tetris. No good ff songs this week. Will be downloading Kirby's Pinball Land and probably Candle Route. Candle Route sounded very interesting from the review here on NL and it's a game style i really enjoy. 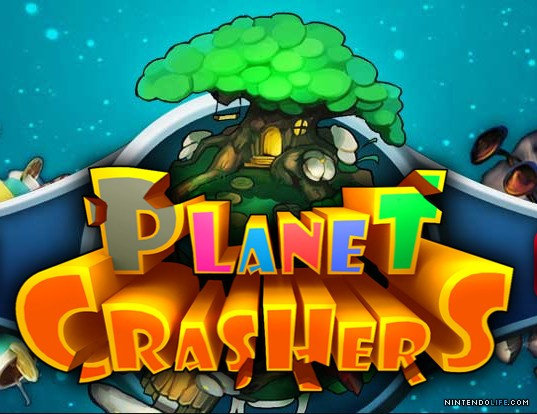 Will wait for a review for Planet Crashers, or better still a demo. Wasn't that impressed by Mutant Mudds (demo), i found the difficulty in the levels offered in the demo was all over the place. The first two levels were a boring plod, then i couldn't finish either the 3rd or 4th levels, i just couldn't get the timing of those dissapearing platforms right and kept falling to my death. I realise the demo is only offering a sample of the game but i just didn't enjoy it much. Oh well, the demo saved me £8.10. I personally loved Mutant Mudds, going far enough to beat the game 100%, three times over, before the demo was even made available in the UK eShop! To each their own of course. The demo provides the first level of each area, which is usually not TOO challenging, same for the added hidden level. I still haven't finished Mutant Mudds so nothing for me this week. Hope that kingdom of plants makes it to Australia..sounds interesting. @luminalace If it doesn't you can always just change your region and download it. I´ll buy Horizon Riders,Planet Crashers,Kirby and the Candle Game fantastic Week. I would have picked up the Frogger game, but I only have 800 points laying about - Horizon Riders was on my radar so it seems a good excuse to pick it up! That actually constitutes a good week. Planet Crashes, Kirby's Pinball Land, Horizon Riders and Candle Route all seem like worthy downloads. May pick them all up at some points! I'll pick up Planet Crashers and Kirby's Pinball Land this week, I think. Dam I'm still waiting for the Spider-man demo! I wana see if it's any good before I get it. I might get Planet Crashers but will have to cheek the reviews out first. It seems like it could go either way. Loved Mutant Mudds! I've been waiting on Horizon Riders for ages! I had almost lost all hope of it coming over here, so I'm glad it has! 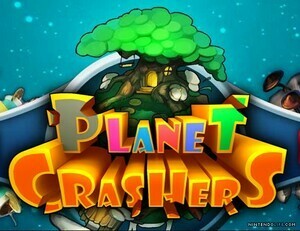 Planet Crashers is a game I'm interested in but as ever I'll wait for a review before deciding! Does anyone know whether The Kingdom of Plants trailer is one we'll be allowed to keep, or will it be erased after a number of weeks like the two short videos Nintendo issued for the 3DS on it's original release? KINGDOM OF PLANTS is not available untill TOMORROW! Nintendo TV episode 8 is out now though! Horizon Riders is on the English Nintendo shop channel at 800 NP. Anyone getting it?.